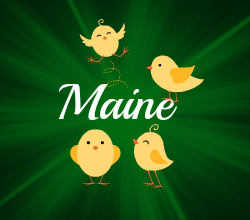 A Maine people finder? Here is a discussion about how to find people in Maine. Hi there, I'm Tonia. I want to write about how find people in this state because I got an email from Benita who is looking for a girl that her family fostered years ago. This girl is called Mary and should be 23 years old to be exact. Her full name is Mary Christina Walsh. I tried to help Benita but I couln't find this person anywhere. Most likely she has a husband now and has a different family name. There are some private investigators with lots of experience who are specialized in matters like this. I strongly recommend all of you out there who need to locate someone in Maine to consult a PI. Alan Wahlgren is looking for Ailie Reid. Alan says he knows that she lived in Lewiston up until August 2014 but has now maybe moved as she has stopped writing letters back. She wrote something about having looked at apartments in Portland because her child's father lives there. The child is called Arline. And a while back she also mentioned that it would be easier for Arline to meet him regularly if they would live closer. engines like Inteligator or Intelius, both good at locating the missing! Jeff says: "In my youth I had a girlfriend named Cathrine. Her parents were from Auburn and she still had grandparents there at the time but they lived in Portland where we met. We were friends first and I helped her with the problem in the relationship she was in for about a year. But a few weeks after she had broken her previous relationship we became a couple. I was really in love. But just two months into the relationship she decided to start to study in Augusta. She visited me twice back home in Portland but after her last visit I never heard from her or saw her again. I would like to know how she is doing now 15 year later. Not that I know anything about her anymore, but I am guessing she is married and I imagine she has a few kids too. She was that kind of person for sure. But it would be very interesting to see her one more time in this lifetime." From the Maine people finder information page to the Home page.